With over 30 years in the print trade, we manufacture high quality affordable stickers in the UK. We offer quick leadtimes and pride ourselves on Competitive Pricing with No Hidden Costs. Our best ever offer is back ... exclusively for charitites! 35mm diameter circles, printed full c olour onto gloss white self-adhesive vinyl, supplied on sheets. Free delivery to UK mainland address. Valid for orders placed by 30th April 2019. Please quote "Easter Offer" when placing your order. 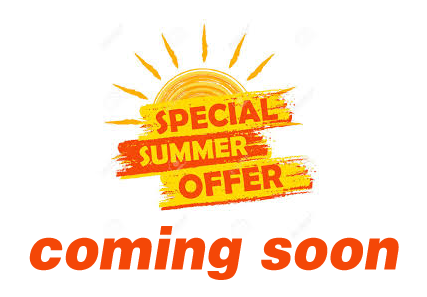 Keep checking in ... offer on it's way very soon! Car window stickers are an excellent way to create awareness or promote a campaign. We manufacture rear window stickers in bulk to both the trade and end-user. Rear Window stickers for cars are reverse printed so you stick them on the inside of the window, viewed from the outside through the glass. Waterproof Car Bumper stickers are the perfect way to grab attention and get your brand or campaign noticed. All car bumper stickers manufactured by Harris Screen Print are ideal for outdoor long term use and fully waterproof. Promotional stickers are a great way of increasing brand awareness without blowing your budget. Harris Screen Print are here to make things even more affordable, offering the most cost effective production methods to achieve first class results at the right price. Car Window Stickers, bumper stickers, shop window stickers and more! Want to buy printed Trade Stickers direct? We manufacture stickers in house making us a popular trade sticker supplier for promotional product companies, design agencies and other print organisations. What stands us apart from the rest, is that anyone can order directly from us, so you can cut out the middle man making our stickers very cost effective. If you haven’t ordered stickers before, we are happy to help you every step of the way. We manufacture stickers on sheets and supply rolls of printed stickers. Our stickers sheets and rolls of stickers are affordable and we offer quick turnarounds wherever possible. Harris Screen Print manufactures charity lapel stickers, all made to order. For smaller sized charities, lapel stickers on sheets are often more cost effective. For medium to large charitable organisations, we manufacture lapel stickers on rolls. See our dedicated charity sticker page and stickers on a roll page for more details. Quantities starting at 100 stickers through to hundreds of thousands. We quote on almost any size and shape of sticker. As our stickers are manufactured to your exact needs, please email or call us for a personalised quotation. Details of how to get in touch are on our Contact Us Page. Our stickers are supplied as individuals, rectangle or square cut. Alternatively, for an extra charge, you can have your stickers bespoke cut or supplied kiss-cut on sheets. We also supply stickers on a roll. Buy waterproof stickers direct from the manufacturer. We screen print waterproof all weather stickers using solvent based inks. Ideal for watersports equipment, marine applications, and vehicle exteriors such as car bumper stickers. Aberdeen, Bath, Bedford, Bedfordshire, Birmingham, Boston, Bournemouth, Bradford, Brighton, Bristol, Cambridge, Cardiff, Carlisle, Chester, Cornwall, Coventry, Derby, Derbyshire, Doncaster, Dorset, Dover, Durham, Edinburgh, Exeter, Folkestone, Glasgow, Gloucester, Grantham, Grimsby, Hampshire, Harrogate, Huddersfield, Hull, Ipswich, Kent, Kettering, Kings Lynn, Leeds, Leicester, Leicestershire, Lincoln, Lincolnshire, Liverpool, London, Luton, Manchester, Middlesbrough, Milton Keynes, Newcastle, Northampton, Norwich, Nottingham, Nottinghamshire, Oxford, Oxfordshire, Peterborough, Plymouth, Poole, Portsmouth, Reading, Rotherham, Scarborough, Sheffield, Skegness, Slough, Southampton, Stamford, Stoke on Trent, Swindon, Telford, Windermere, York, Yorkshire and more. 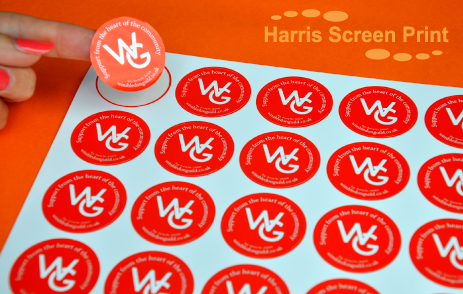 www.harris-screenprint.co.uk is the place to get your stickers for car windows, car parking permits, car bumpers, promotions, charities, outdoor use and all weather use! Not sure what type of stickers you require? just email or give us a call, and Harris Screen Print will give you all the advice you need.